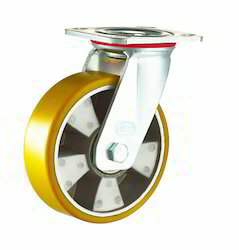 PU Cast Wheel Caster with Double Ball Bearing is available with PU cast. 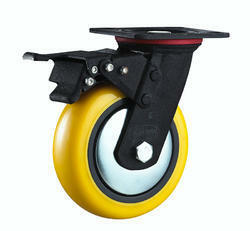 The principle benefit of a polyurethane wheel over any same size rubber wheel is increased capacity. We provide you Polyurethane Wheel and Iron - Core With Double Ball Bearing made the products with purity raw material, excellent quality and unique design with strong practicality, safety and environmental friendly. Looking for Extra Heavy Duty Caster Wheels ?